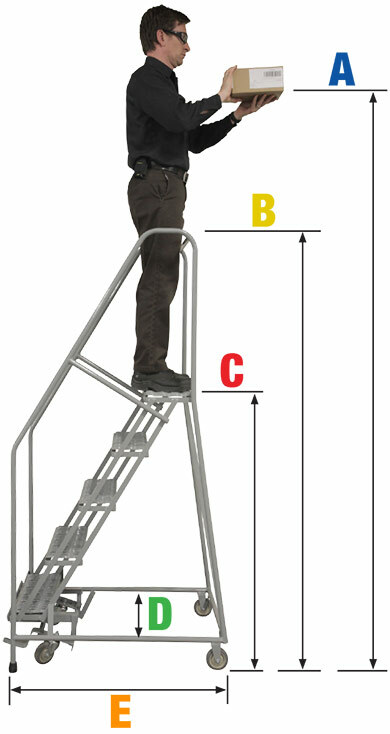 SERIES 2600 is a superior line of partially assembled steel safety ladders. Designed and constructed for extra heavy duty use, these ladders have extra bracing and heavier materials to resist damage. They are available in 6-15 step sizes. Larger 1-1/4″ diameter tube base and back construction. 2-1/2″ rubber pads on front legs. 7″ deep steps, 12″ or 24″ deep top step. 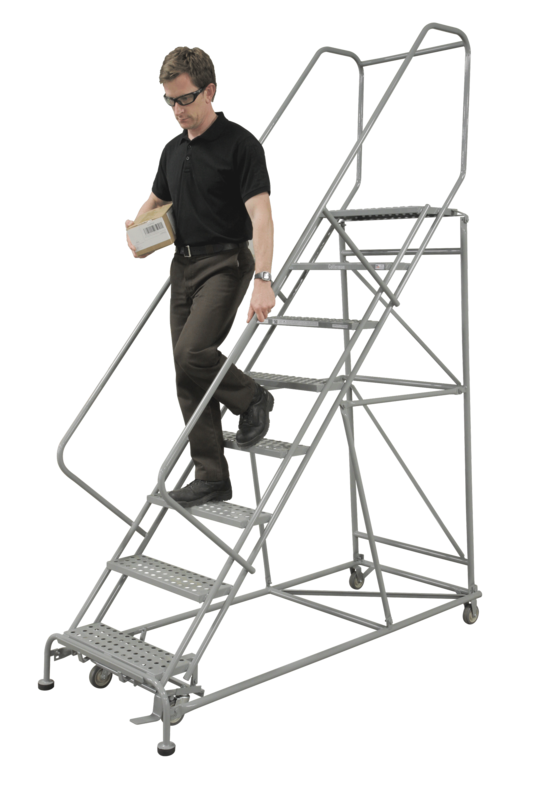 Ladders are equipped with the Cotterman® SafeLock caster system. 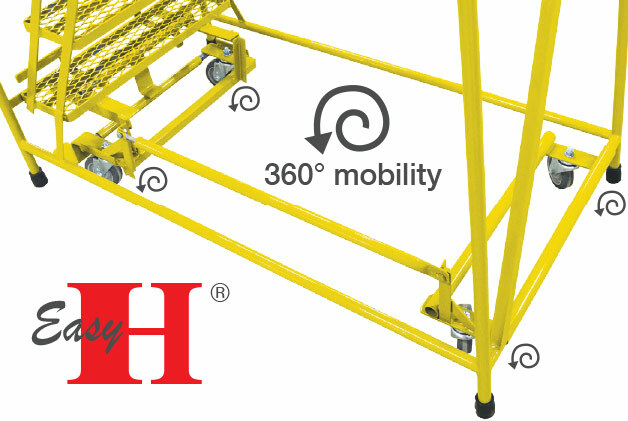 Series 2600 ladders meet OSHA and ANSI standards. All tube members are 1-1/4” steel tube construction. 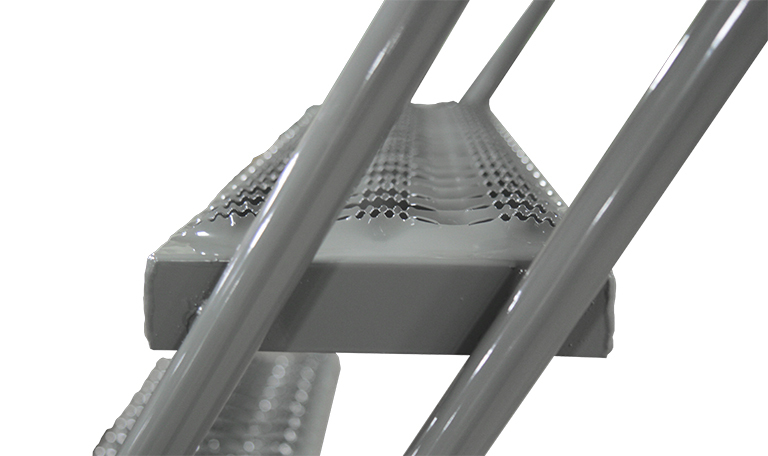 Solid metal step with nonslip ribbed vinyl tread. Currently unavailable in Product Selection Guide. Please contact Customer Service for more information. Multi-Directional Mobility. 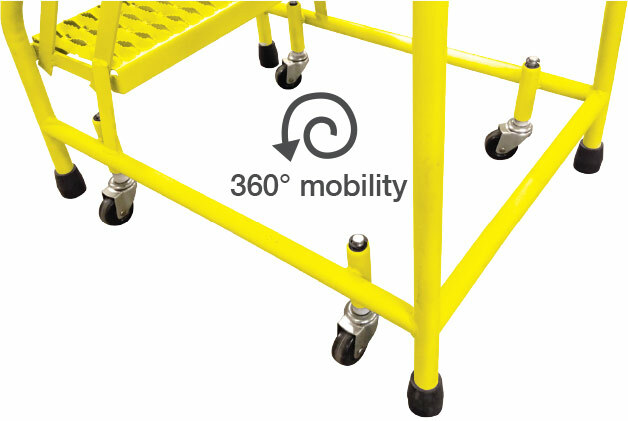 Allows 360&deg; mobility. 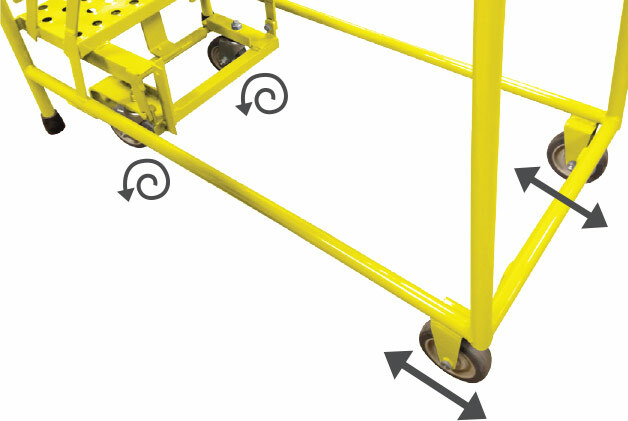 1-4 step ladders have spring-loaded casters that retract whenever weight is applied. with 4” wheels. Foot-activated locking mechanism with swivel casters and rigid rear wheels. Available on 4-step & above. with Multi-directional 4″ wheels. Swivel casters on front and back. Allows 360° mobility. Available on 5-step & above.